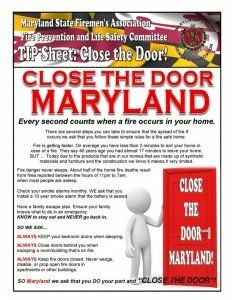 Did you know that there have been six fire fatalities in Maryland already this year, including one in Harford County? The MAJORITY of those fatalities occurred in homes that DID NOT HAVE WORKING SMOKE ALARMS. If you cannot afford a smoke alarm PLEASE contact your local fire department to inquire as to what assistance is available in your area. 1- Test smoke alarms and carbon monoxide detectors to ensure they are working properly. 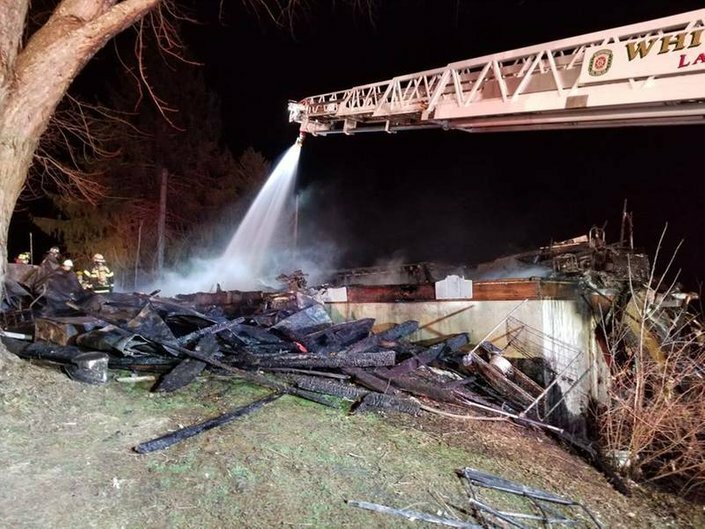 Remember, the effects of toxic smoke and gases can quickly overcome your ability to think clearly. Every second counts when escaping a fire. Also check the dates on your smoke alarms and carbon monoxide detectors, if they are 10 years old or older, they should be replaced. 2- Check exits in both your home and any place you go to ensure you will be able to get to safety. Blocked exits resulting from improperly placed chairs, tables or even holiday decorations can result in the delay of getting out quickly and safely. Be vigilant of these safety concerns whether at church, school or your local favorite eatery. Ensure snow is removed from the outside of doors as well. 3- When using portable non-vented fuel-fired heaters, such as kerosene heaters, make sure to use only the recommended fuel specified in the owner’s manual and NEVER use gasoline. Note: Portable kerosene heaters are banned for use in Baltimore City. 4- If you find it necessary to use an electric space heater, use only one that has been approved by an authorized testing laboratory such as UL. Plug space heaters directly into an outlet. NEVER use an extension cord or power strip as they can easily overheat and cause a fire. 5- Keep all portable space heaters at least three feet away from anything combustible. 6- When using fireplaces, wood stoves or pellet stoves; please ensure these heat sources have been installed and properly serviced by trained technicians according to state and local codes, allowing them to work at peak efficiency and lower the risk of a catastrophic failure. Place ashes in a metal container with a lid. Please ensure you have the chimney cleaned and inspected before use. 7- Never leave candles burning unattended. Extinguish the flame before leaving the room. Consider battery operated candles instead of flaming candles for safety. Follow this link for more winter fire safety tips from the NFPA….